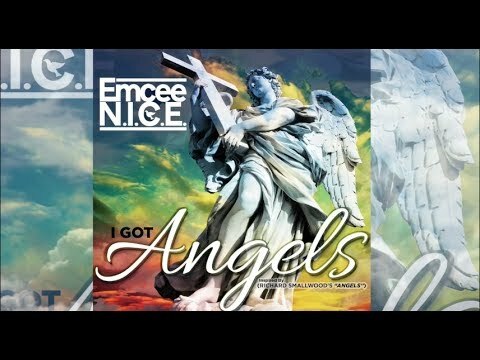 i got angels (gospel hip-hop lyric video) - emcee n.i.c.e. | Holy Hip Hop...Taking The Gospel To The Streets...Since 1997 Holy Hip Hop!Christian Hip Hop!Gospel Hip Hop!Gospel Rap!Hip Hop Gospel!Christian Rap!Taking The Gospel To The Streets! Multi-Platinum Producer (2 Pac / NAS / K-Ci Hailey and more...)Recording Artist Emcee N.I.C.E. from El Paso, Texas, returns to his Gospel Roots with a Gospel Hip-Hop/R&B instant classic songs titled “I Got Angels” inspired by Richard Smallwood’s “Angels”. Produced by Alabama legend Sam Peezy known for his soul moving drums. “I Got Angels” delivers a Gospel Hip-Hop message reminding you that Satan is always testing you along with revealing that there are Angels that constantly watch over each one us, to protect us. The lyric video delivers spiritual visuals. In an album that gives God the glory, Emcee N.I.C.E.’s forthcoming album “PRAISE” will make sit in your subconscious and awaken your spirit. It is scheduled to debut August 31st, 2017.